"You don't know your own talent until you're in that arena and the rush of realising I've got it in me to hang on and hole a few putts is something I'll never forget." These 'Representing' pieces normally begin in a sepia-drenched moment where our protagonist is a bag of nerves and just about to prove whether he has the stones to be one of the greatest. So let me take you to a bitterly cold November day at Wychwood Park, where hail and wind have battered the field around the front nine, turning hands into shrivelled red stumps and the sport of golf into a brutal survival pursuit. The scores are not worth talking about. The point of interest comes around the turn where a special guest joins the field and the weather - strangely - breaks, bathing the guest in an ethereal light as he stands by the hut on the 10th tee, shepherding us in for soup and sandwiches. "Jesus?" we whisper, with the last remaining strength in our battered bodies. "No, Bernhard," he replies. "Bernhard Gallacher. Pleased to meet you." Now, the fact a life size statue of Bernhard adorns the first tee at Wentworth, home of the European Tour, should tell you everything about his legendary status. But if you need a reminder then read the plinth. Club Professional at Wentworth for 25 years, eight-time Ryder Cup player and three-time Ryder Cup captain. How's that for a CV? But that bronzed effigy strikes a very different persona from the man before me now. Where it is poised and determined, he is warm and welcoming and where it defiantly states that this is not a golfer to be messed with my next 90-minutes at Golf Care's media day are spent with a man who I'd happily invite round my nan's for stew. Born in Bathgate, Scotland in 1949, Bernhard knew what he wanted in life. "I just wanted to be a pro. I didn't care if I was a touring pro. I would have been happy to be a teacher. "I never thought, ever, that I would be playing in tournaments full-time. I just did it when I was single and didn't have any responsibilities." While he may not have thought he would be playing full-time, his record speaks differently. He won the 1967 Scottish Amateur Open Stroke Play Championship and turned professional the same year, going on to win the Sir Henry Cotton Rookie of the Year Award in 1968. "Yeah, I had had quite a strong amateur career. I played in the Scottish boy's team, Scottish men's team and British boy's team and won the County Championship, so felt that on my day I was as good as anybody around. "But I didn't really think I could take on the pros. I was there to learn and to become a pro, you know?" 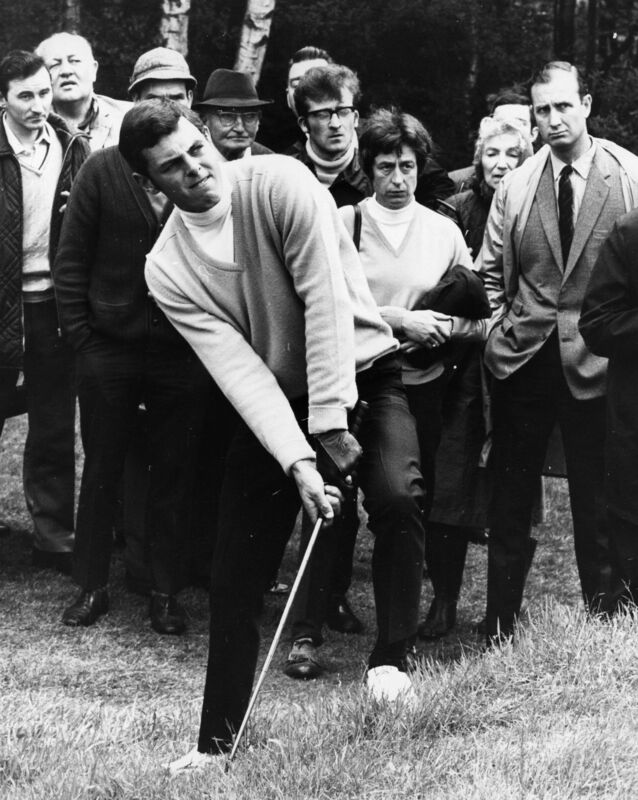 In 1969, at the age of 20, Bernard became the youngest man to represent Great Britain & Ireland in the Ryder Cup, facing Lee Trevino in the final day singles. He also notched up his first professional win at the PGA Championship no less. The touch paper was lit and the realisation that he could cut it with the best of them finally sank in. 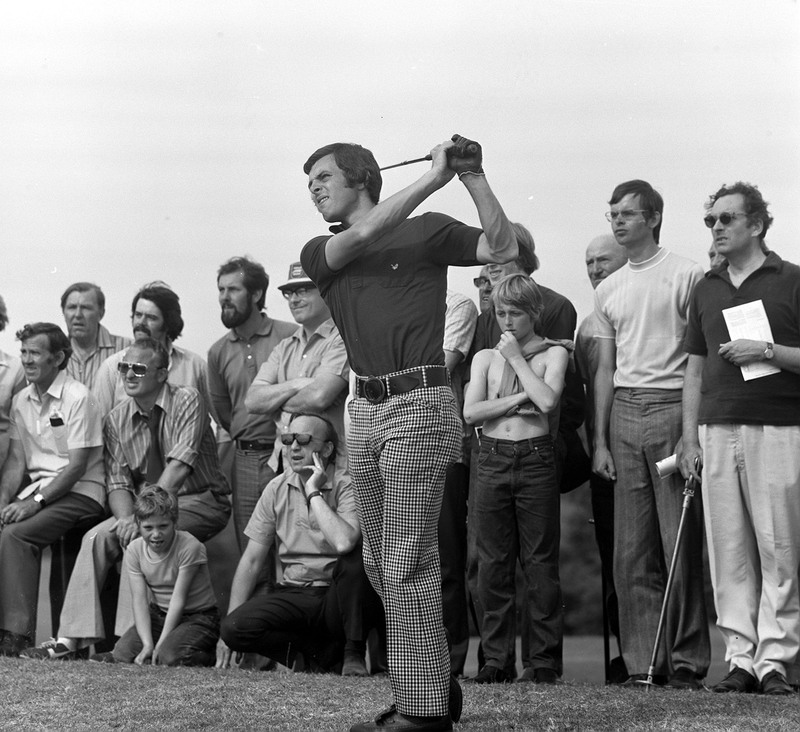 Between 1974 and 1984 he won 10 times on the European Tour and finished Top 10 in the Order of Merit five times. 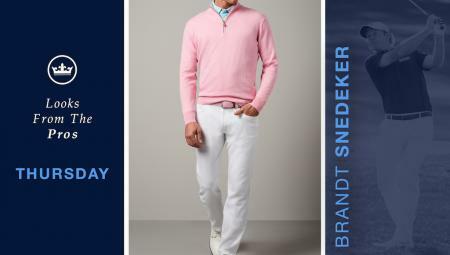 But it was the Ryder Cup that was to be the hallmark of Bernhard's career. He played from 1969-83, winning half of all the matches he played. He started when it was the GB&I team taking a regular pasting from the dazzling US pros and then overseeing the formation and development of the new format where Europe played America. In 1991, he succeeded Tony Jacklin as non-playing captain. The event had significantly changed since he first teed up. 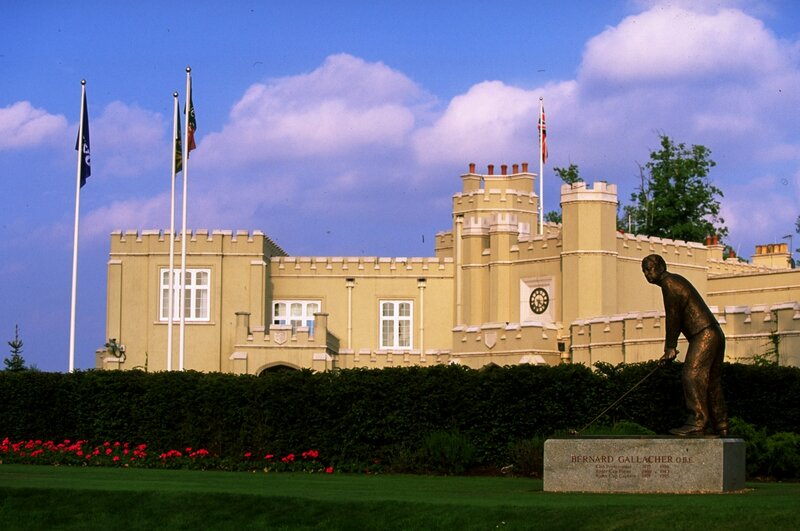 Europe had started to flex its muscle with wins at the Belfry in 1985 and 1987 and the drama had really started to brew. The 1991 event was held at Kiawah Island and proved to be disgustingly partisan. It is now infamously known as 'The War on the Shore'. And while it may not have been the most pleasant of memories for anyone taking part, the closely fought match sparked the desire, passion and intensity that we know today. The return leg at the Belfry in 1993 was equally as close with a Davis Love capping off a strong singles revival for the American team and steal the trophy from European hands. For Bernhard it was to be a case of third time lucky at Oak Hill in New York where unheralded Irish rookie, Phillip Walton clinched a dramatic victory for Bernhard and the Europeans. "It wasn't really that big a job," says Gallacher modestly. Especially given the amount of jumping about he did on the 18th at Oak Hill. "I remember in 1991 doing the clothing for the team in 15 minutes. A guy came in and asked what colours I would like and I said this for Thursday, that for Friday, a blazer and flannels, a white shirt and we will have a nice tie made. That was it. "For the speeches I brought out a piece of paper from my inside pocket and jotted a few things about the players. Now it's slick Italian suits and the captains speak from an autocue on the podium. It is a far bigger job than the one I did." Although you know that Bernhard could - and does - spend hours talking about his Ryder Cup, his eyes seemed to sparkle more fondly over those early years as pro. "I think what pleased me most was winning my first tournament as a pro. People assume my greatest achievement was winning the Ryder Cup. Not me. I think the biggest thing was winning my first pro tournament, because you never know if you can win one until you have. "I know I won tournaments as an amateur but when you turn pro it's a different ball game against better players. 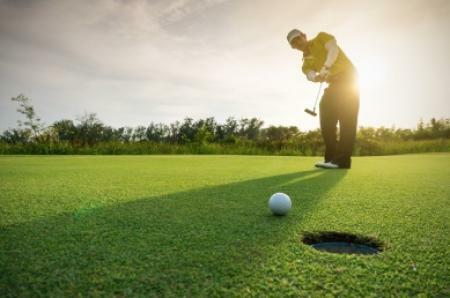 You don't know your own talent until you're in that arena and the rush of realising I've got it in me to hang on and hole a few putts is something I'll never forget." Did your cheques even cover your bills back then? "Yeah, yeah. The money was OK when I played, it's all relative. You could buy a house for £7,000 then. When I won the Order of Merit in '69 it was £6,000 and you could buy a house for that. Did you have, on the flip-side, any dark moments? "Oh yeah. When you start missing cuts it's awful. I never really missed many cuts, I always seemed to find a way of making them. The fascinating thing about golf is the highs and lows. You can play one great shot one minute and then one bad shot the next. You can have one good tournament one week and then a bad one. "It quickly brings you back to earth. It's about how you pick yourself up. I always think the great players are the players who can do well when they're not playing well. I just find the attitudes nowadays different to how they were in my day. "Now I think some of the pros think 'Oh, if this week isn't my week, it'll be my week next week'. In my generation and generations before me the way you made your money was by making cuts, keep making cuts, keep picking up cheques every week. Now you can miss cuts every week and still make money. "That's not to knock anyone playing today though. The world is just a different place to when we were playing. 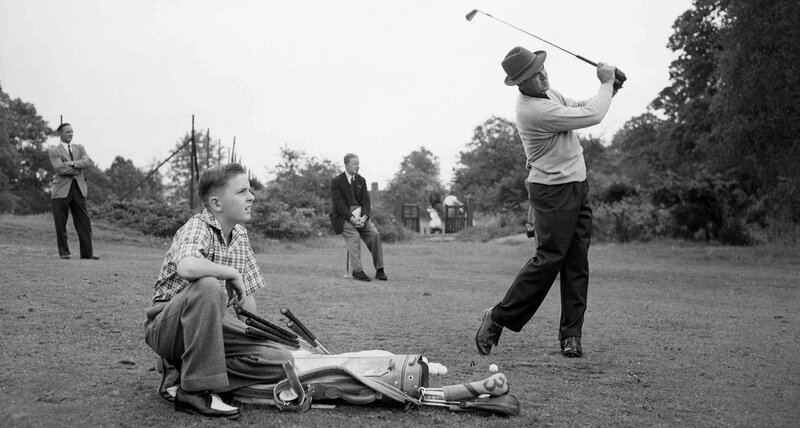 There were no sat navs, no sponsored hotels or courtesy cars even no driving ranges! You had a bag of balls, you hit them, and you're caddy went and picked them up. That's just how it was." "I remember playing in the Cola Cola tournament at Finham Park, Coventry. Back then you found your own digs, so we found this B&B in Coventry, it was cheap. "I soon found out why. The woman who owned it was very nice, but there was somebody sleeping in the bed during the day when I was out. So I was on the night shift! I just thought, you know, how desperate is that?" "Those are the stories, you know...We took everything in our stride, it was all about the golf. We tried to just make our way up the ladder." Normally, those who grace the pages of our 'representing for all the golf punks' are way past dead, so it's rare that we actually get to meet and chat with someone who has been at the centre of so many tremendous memories. And there's always that adage 'never meet your heroes'. Well, we can safely say that this is not true of Bernhard and here's the final proof why. As he made to leave he tapped me on the shoulder. Mr Bernhard Gallacher, Ryder Cup legend and consummate pro for over 40 years. "I enjoyed playing with you today, you've a nice rounded swing, that's what I want," he said. Shook my hand and left. Still thinking about his game. Still loving the challenge. Still representing.